I have a pair of Skull Candy headphones that I wear when I mow grass. I have had phone conversations with my wife while mowing and we heard each other just fine. You won't believe this, but my son and I purchased a couple of $5 Polaroid in-ear sets from a discount store. These things have more bass than the ones that came with my mobile phone. I was shocked. Why are the all the headphones in the over ear section actually on ear headphones? 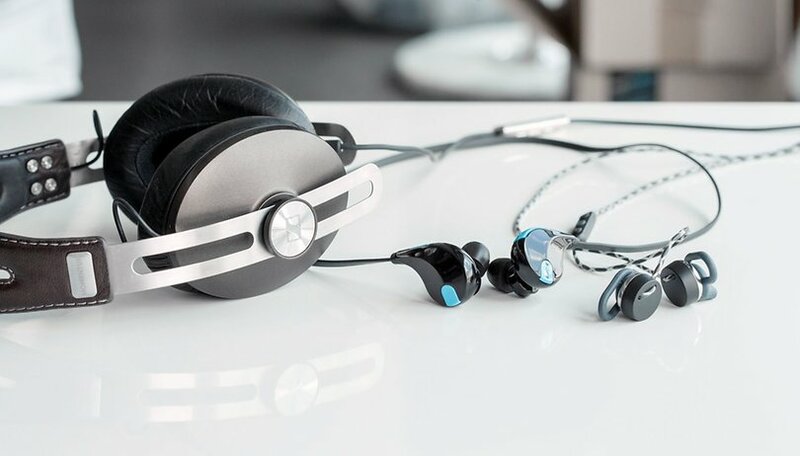 There are lots of good headphones in the market today and when it comes to choosing the best, go for quality, comfort and offer you maximum entertainment. You shorted us. What about the over--the-ear open vs closed headphones? Surely you're familiar with them. In the workplace, very important distinction and I certainly could not use open headphones in my environment. Headphones are a no no for me,it looks like you came out with your home furniture, just silly looks.Klipcsh are the big forgotten unless they haven't a 2015 model which I doudt it,sound quality amazing but mainly for me comfort are the best.Even the cheaper ones are amazing! Thank you (sigh) for writing a simply-put, I-respect-your-time, here's-the-link, have-a-nice-day article for those of us who still think rooting is something one does in the garden. The world needs more sensible-shoe pieces like this. My $7 Panasonic earbuds from amazon are AWESOME! I would much rather buy 20 pairs of solid earbuds than 1 pair. I don't need to worry if lose or break them! Who paid for this article? Nothing made by Bose or Beats are well regarded for accuracy by the audio industry. You will never see them sold by any reputable audio vendor. Had the Bose qc20 and they were not as good for noise reduction or sound quality.... I opted for the Etymotics hf2, they come with three bud types and really block sound.. Also have custom ear pieces since they are mainly used for travel...... Very high detail and hear sounds not heard on Bose Sony and others........ They are not booming bass at all so some won't like that. Can u test wearhaus arc.how do they compare to your top headphones.I own a pair and think they sound great. Surprised that V-Moda was completely omitted. Great headphones with a fantastic warrant. Also customizable ear-shields. No mention of Audio Technica's ATH-M50? There are one of the best cans money can buy on a dollar/value ratio. plz the level on wireless is it perfect? I use bluetooth cans with 50mm driver they cost £40 and sound quality is excellent. I use £10 in ear ones again sound quality is good. It's absolutely ridiculous to pay £200 for earphones. Granted if your a audiophile and listen to lossless Flac then having a good set of cans makes sense.
. But if your listening to MP3 via your smartphone then your wasting money for little reward. Yes. Bose headphones are perfect in every way. I'm glad you did not include beats as they are a overpriced set of hardware which doesn't even last very long. The only thing they did right was their marketing. They distributed the headphones to famous people such as footballers and the whole world got mad behind it. I'm not saying that the quality is garbage but there are a gazillion different alternatives such as sennheizer which have great build quality, sound and perfect price WITH Mike included. Hate to break it to you but Bose isn't all that much different from Beats. Sure they may sound a little better (however beats made huge strides with their solo 2's) but either way you cut it Bose is a brand first and foremost just like Beats. I've never owned beats, and only one pair of Bose, but if you go to any reputable audiophile website and read their reviews Bose will do very poorly. I think one of the best headphones are the Bose. They are made to perfection and they are fashion with a function. Yeah i believe Bose will always leads the headphones industry but i think Samsung LEVEL on wireless is something to be consider as well. I have had a few pair of beats. I didn't like the wireless ones because when I was at the gym and would put my phone is my pocket it wouldn't hold a great connection. I got the wired Beats Solos HD and they are so awesome! I've also tried DJ Beats and they were just too tight on my head and it seemed to get really loose after a while and slide off my head as I would work out. I also have a pair of the Bose QuietComfort 20s and they seem to slip out and I'm really satisfied with my best combo deal. My Samsung Gear S with Gear Circle combo pair! I don't have to worry about carrying a phone around with me, and I don't need to include the wires! Add some Samsung Milk into the Mix and I am good to go and I was impressed by the volume, clarity, longevity of battery from both devices as I put time in while working out. Second place, my Solos. 3rd Place, my Bose. 4th, well you have to turn it up with my Dre BeatBox in the bedroom, that's because the Living room has its own 7.1 Surround sound that boasts a 15 inch woofer, all Onkyo baby! Just my opinion. Those Jabra Move do look quite impressive though! It's surprising to see that Bose beat Beats though we keep seeing high profile celebrities donning Beats headphones. As a matter of fact, they are the most dream headphones of everybody because it is definitely a perfect one. Had the various versions since 2004.